​"De Ligt is a 10-year-old and he might actually be the best centre back in the world already. Seriously, he’s THAT good." "De Ligt literally has it all. Pace, height, strength, an unNATURAL ability to read the game, fantastic tackling precision & ferocity, plus he has that little mean streak you want CBs to have. It’s gonna be so much fun to watch him develop over the years." It's fair to say that football fans across Europe were impressed by Matthijs de Ligt's performance against Juventus. So good that the only way his performance could be described was by pressing the Cap Locks button and spewing HYPERBOLIC PRAISE ON TWITTER. And I'm not writing that as a sly dig at a few unnamed people on Twitter; after all, I did tweet one of the italicised quotes at the top of this article (the one with the less engagement). On Wednesday night, by leading the Ajax defensive line with absurd authority against one of the best teams in Europe, De Ligt did prove to the world that he is the best young defender in a generation. A once in a lifetime talent. A natural born world shaker. However, Matthijs de Ligt wasn't the only young defender who impressed at the newly christened Johan Cruyff Arena. Another centre back - five years De Ligt's senior and in opposite colours - also staked his claim as one of the most exciting defensive prospects in European football on Wednesday night. That centre back was Daniele Rugani. "Rugani? Daniele is one of the best centre backs in ​Ita​ly and one of the best in Europe, because in Italy we still have the best." Literally no one else. Ever. "Rugani literally has no impressive traits. He is ok at a lot of things and bad at the rest. Defines mediocre." "Rugani is awful, such a nothing player." Often drafted into the starting XI as a replacement for an injured Giorgio Chiellini, Daniele Rugani had clearly become a scapegoat for many Juventus fans. Throughout this season, Juventini have berated the young defender for a myriad of lapses in concentration, his papering over poor defensive performances with goals, and lack of visible leadership qualities. But, in truth, he'd become a scapegoat for one simple reason: He's not Giorgio Chiellini. - He's not broken his nose a million times. - He doesn't look like he's going to fall over every time he passes the ball. - He's not been at Juventus for 14 years. - He's not made over 500 appearances for the club. - He's not the Juventus captain. Oh, and most importantly: he's not the best centre back in the world. On Wednesday night however, Rugani, despite still not being Chiellini, did something he hasn't done in quite a while: he impressed. Rugani played really, really, really well. 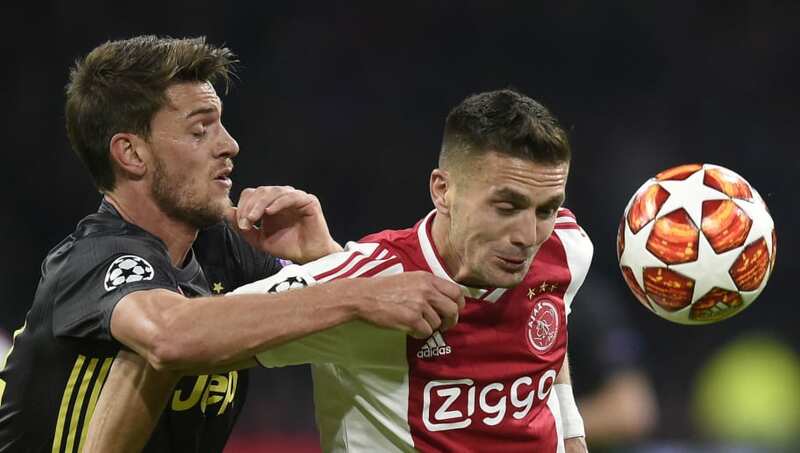 Confidently able to keep an explicitly potent Ajax attack at bay (they've scored a million goals in Eredivisie this season...well...100) for the majority of the game, the 24-year-old was undoubtedly Juve's best player on the night. In fact, the defender showcased every trait he'd been lambasted for not possessing throughout the previous nine months of the season: concentration, grit, and perhaps most surprisingly, an ability to lead the Bianconeri's defensive line. For the first time in his four years at ​Juve, Rugani looked comfortable in the club's colours. That isn't to say he's now set to become the best centre back in the world, be anointed the patron saint of catenaccio and given the freedom of Turin. Rugani still isn't in the same league as Giorgio Chiellini or Matthijs de Ligt; and honestly, he probably never will be. He's not a natural born world shaker. But does he really need to be? Wednesday night's game proved that, despite not being the greatest centre back to ever live, Daniele Rugani can still be a huge asset to Juventus for the foreseeable future. A player that can help Juventus continue this current 'epoca d'oro' for the another five, maybe ten, years. A player that can help La Vecchia Signora FINALLY win the ​UEFA Champions League.